My review: 5 Amazing Stars! 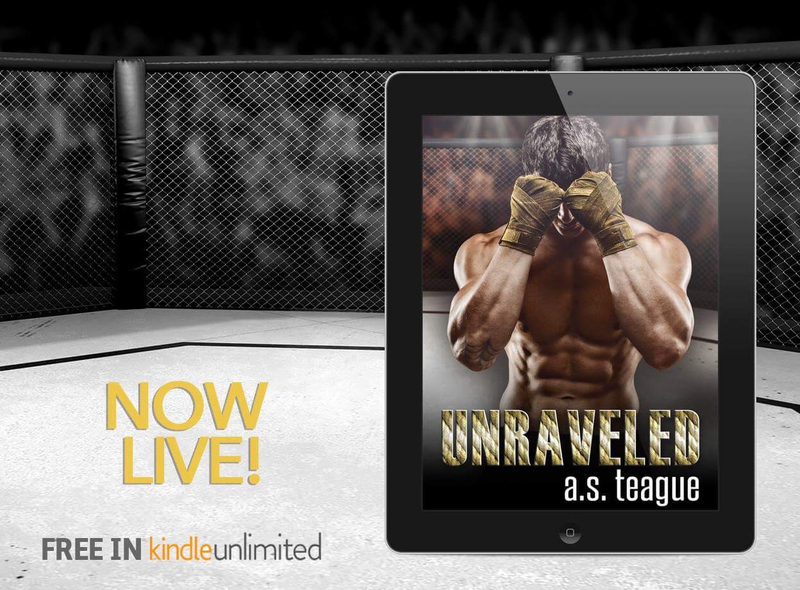 I had high hopes for Unraveled after giving A.S. Teague's debut novel, Undisputed, 5 stars. And I am so glad to say I was not disappointed! Teague again crafted an amazing, heartfelt novel that I adored. This book falls into the enemies-to-lovers category, as Rebecca is sure she cannot stand Ryker due to past events in his life. Slowly, he enters into her life determined to change her opinion and it was fun to watch his wear her down bit by bit. Although Ryker could land on your book boyfriend list for many reasons, it was his devotion to his grandmother than won me over. Such a sweet relationship- I loved when she called him by his given name. So cute. This is also a story of Ryker reclaiming his reputation and career, and I loved every minute of it. I enjoyed getting a glimpse into the life of the characters from Undisputed as well. I am so looking forward to Teague's next novel- I hope it's a continuation of this series! F***, that grin is hot.